A virus is a small, infectious parasite that recreates itself inside the cells of living beings. Viruses affect all kinds of living creatures from humans to animals to plants to microorganisms. When a living host is infected by a virus, it is forced to replicate its innumerable copies at a staggering rate. Mostly, viruses consist of either RNA or DNA, as their genetic structure. The virus particle is known as virion that primarily contains the nuclei acid (single or double-stranded), and an outer wall of protein. The least complex virus only has an RNA or DNA to encode the shell of proteins. But the most complicated virus may be able to encode about 100 to 200 proteins. The scientific study of viruses started at the end of the 19th century. In 1892, Dmitry Ivanovsky used a filter that contained small pores, powerful enough to hold bacteria. Ivanovsky used this kind of filter to examine a diseased tobacco plant. The infectious substance rooted in the plant was named as a “virus”. And this discovery was the start of virology. Typically, the term “viruses” is used along with bacteria. To some, they may appear the same but the two are poles apart. As compared to bacteria, viruses are tiny. In fact, studies show that the largest virus is smaller than the smallest bacterium. Bacteria can exist all by themselves. On the other hand, viruses need a host to replicate themselves – They can’t survive all alone. Unlike bacteria, viruses can cause illnesses and they are also quite certain about the cells they want to eliminate. For instance, most viruses attack cells present in the liver, respiratory system, or blood. Sometimes, viruses target bacteria and kill it. Some of the diseases caused by viruses are contagious in nature such as the flu, the common cold, HIV, and herpes. Other types of viral diseases are caused by other ways such as the bite of an insect. Respiratory viral diseases are cured on their own. However, you can consider over-the-counter medications such as cough syrups, pain relievers, nasal decongestants etc. Viruses may also cause gastrointestinal diseases including abdominal cramps, diarrhea, and vomiting. Gastrointestinal viral diseases resolve by themselves within a couple of days. Meanwhile, it is advised to drink plenty of fluids to compensate what is lost from diarrhea and vomiting. Exanthematous viruses result in skin rashes such as measles, rubella, and chickenpox. To cure these diseases, fever-minimizing medications should be used. For chickenpox, antiviral drugs like acyclovir can be given. In her career in IT, Amita Vadlamudi developed expertise in mainframe and client-server systems. Amita Vadlamudi also engages in side interests, such as astronomy. 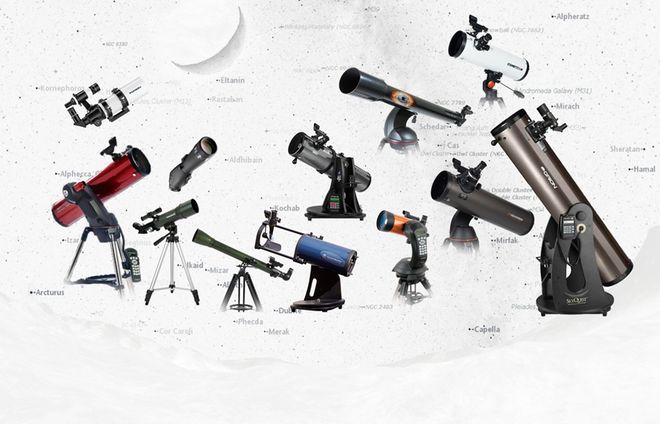 A chief tool of astronomers, optical telescopes can show the sights of the solar system at a relatively low cost. However, you should have realistic expectations about what you will see. The spectacular photos of celestial objects published on the web were taken in observatories by professionals. Even so, a so-called backyard telescope can still provide exciting views. Because of its size and brightness, the moon is the most logical candidate for initiating yourself into astronomy. Even an inexpensive 30-power telescope will display a remarkable world, dotted with hundreds of craters and mixed with darker “seas” and mountains. In a 40-power scope, the lunar surface will fill the entire field of view. That same telescope shows such celestial details as the phases of Mercury and Venus, as well as the reddish disk of Mars. Jupiter, its four largest moons, and Saturn and its rings are also visible. Other targets include Saturn’s moon Titan and the planets Uranus and Neptune. Moving up to greater magnifications reveals the polar ice caps of Mars, the red spot of Jupiter, and the Cassini division in Saturn’s rings. Moving your telescope away from the bright city will enable you to see the Andromeda Galaxy, nebulae, and double stars. Amita Vadlamudi, a computer scientist by training, currently focuses her time on exploration of personal interests. Amita Vadlamudi enjoys studying astronomy as well as other sciences. In mid-November of 2015, scientists announced the birth of a planet. The birth took place 450 light years from Earth in the orbit of star LkCa 15. Orbiting the star is a structure known as a transition disk. 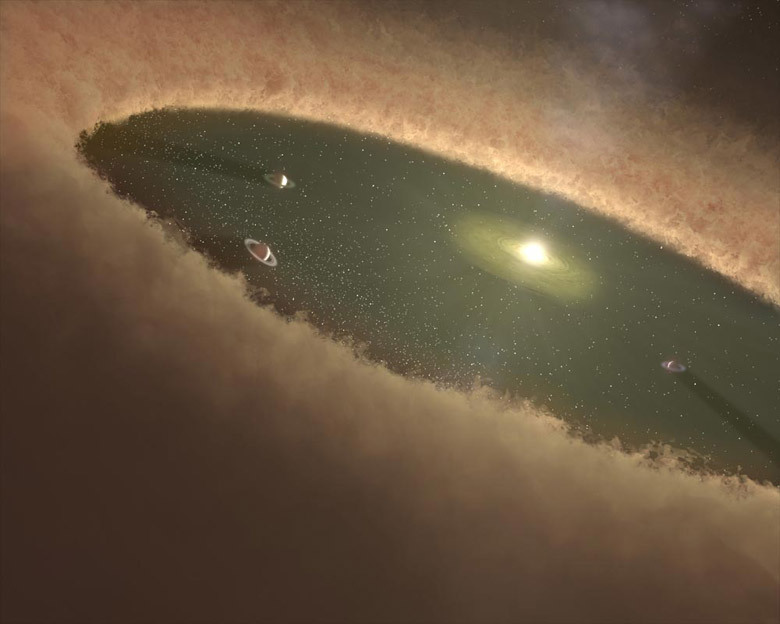 Scientists have hypothesized that the transition disk, which contains a collection of dust and other debris, generates planets as a rock or ice core draws solid and gas material to itself. The new photo evidence of LkCa 15’s planet appears to confirm this theory. Using technology that reduces light from a star so that the fainter planetary light becomes visible, scientists focused on a particularly bright glow within the protoplanet. This glow, according to postdoctoral researcher Kate Follette, occurs as a result of the heating up of hydrogen gas as it collects around the core of the new planet. This evidence indicates that the protoplanet is likely to grow into a gas giant, similar to our solar system’s own Jupiter.